Beginning on March 18 2019, members of the local community are invited to come to the Addison Road Food Pantry and purchase fresh fruit and vegetables every Monday from 9AM to 12PM. The program is designed to combat food insecurity in the local community, and to reduce the amount of organic waste going to landfill. Come along on Monday the 18th – and fill up a bag of good quality fruit and veg for $2 a bag! BYO bag if you can! Please note: ALL BAGS should be no larger than standard green shopping bag dimensions eg. 340mm x (H) x 320mm (W) x 220mm (D). $2 minimum contribution or more gratefully accepted. 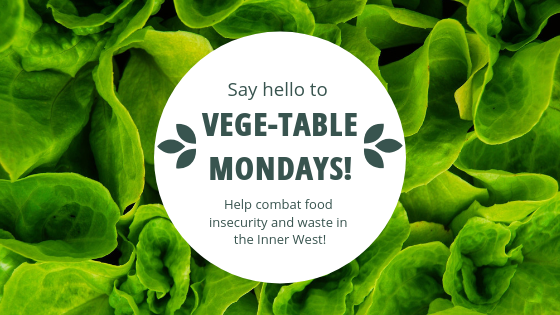 Vege-Table Mondays is an initiative of Addison Road Community Centre Organisation, with the support and assistance of Foodbank NSW & ACT.